Click here to view the member's full district 21 map. Click here to view the member's interactive district 21 map. 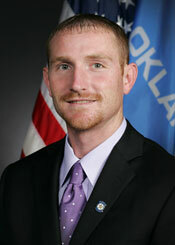 Dustin Roberts was born in McAlester and raised in Durant by parents Pam Roberts and local businessman Dennis Roberts. Upon graduation from Durant High School, Roberts enlisted in the United States Navy to serve the nation and fought the war on terrorism. In his five-year career in the United States Navy, Roberts was the recipient of two Navy and Marine Corps Achievement Medals for his efforts in the Horn of Africa situation and again in Operation Iraqi Freedom. In 2004, Roberts was awarded as the Blue Jacket of the Year and honored with an invitation to the Presidential Inaugural Ball and Inaugural Address. He was promoted, through the Command Advancement Program, to 3rd Class Petty Officer by the Command Master Chief and Commanding Officer of VFA-143. Later, Roberts was awarded Junior Sailor of the Year for the leadership role he took on his second deployment. Roberts and his wife of twelve years, Lindsay Valles Roberts, of Calera are entrepreneurs and active members of their community. Roberts is a member of the Choctaw Nation of Oklahoma, while his wife is a member of the Chickasaw Nation of Oklahoma. Together, they volunteer with organizations such as Relay for Life and March of Dimes, and are avid supporters of the local 4-H, FFA and athletics programs. 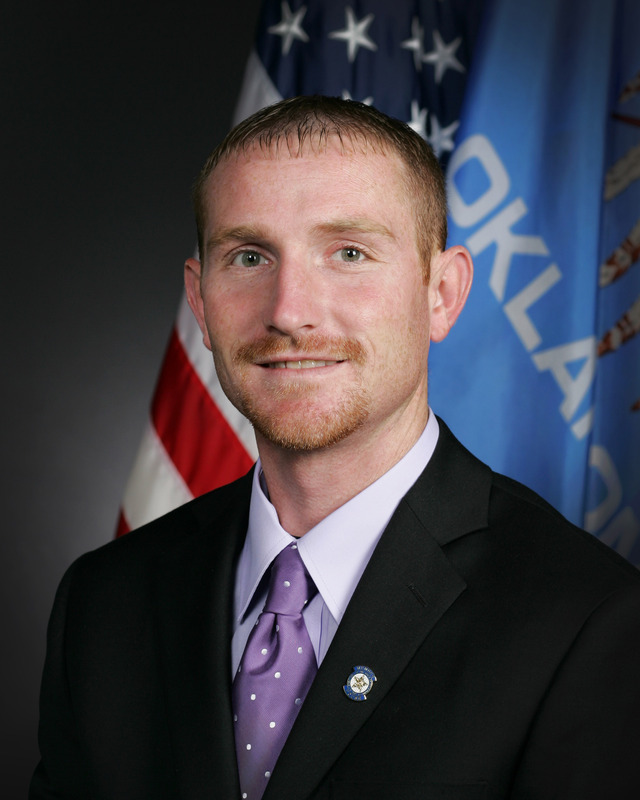 Roberts is on his fourth term as District 21 State Representative, where he has been an active supporter of schools and developing Oklahoma’s infrastructure systems. Previously, he has severed as vice chair of economic development committee and chair of Veteran’s affairs committee. Roberts acts as Chair of Appropriations Subcommittee on Transportation for the State House.